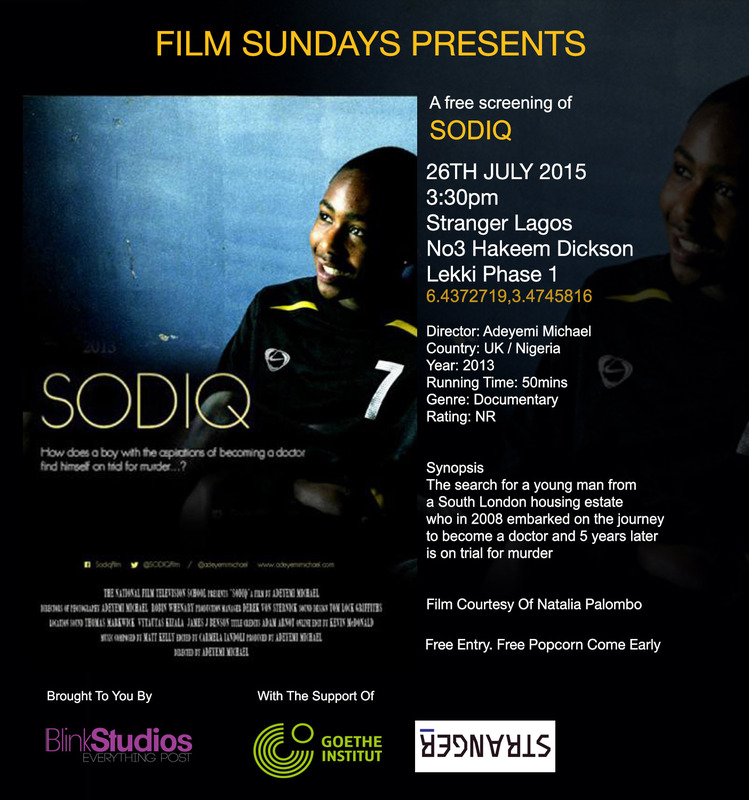 FILM Sundays has been initiated by Blink Studios and Future Lagos (Urban activist Olamide Udoma and filmmaker Chuka Ejorh). The project aims to effect the film-going culture in Lagos by presenting a monthly event of independent film screenings at the National Film Corporation accompanied by filmmaker Q&As and discussions. The project will screen independent films from all over the world and I have programmed a diverse selection of films from across Africa, aiming to make African films more accessible to Lagosians. FILM SUNDAYS takes place on the last Sunday of every month at Stranger Lagos. © 2015 Natalia Palombo. All Rights Reserved.